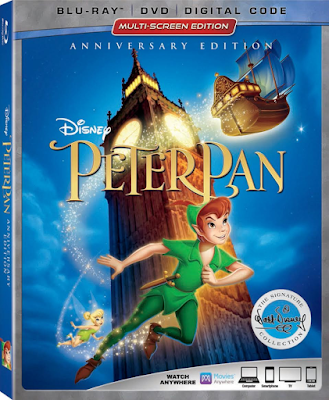 We've just expanded our Blu-ray collection with the Anniversary Edition of Peter Pan. Our family enjoyed watching this beloved classic. Watching Peter Pan and the Darling children, while singing along throughout the movie, is something we can never tire of. I love the positive messages about never giving up, staying positive, and having faith and trust. The numerous bonus features make the movie even more magical! 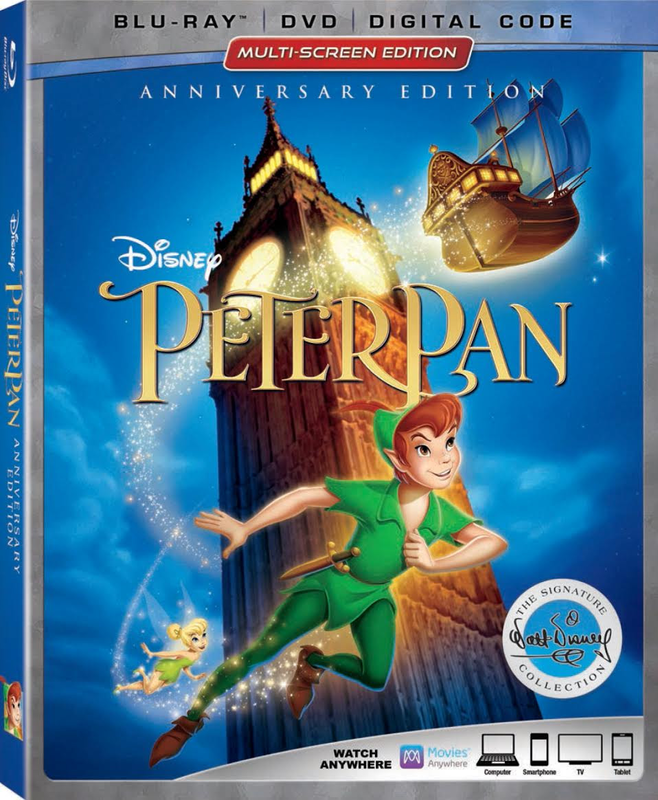 Walt Disney Animation's Peter Pan is now available on Digital and Movies Anywhere, and on Blu-ray June 5.